Beware my little lovelies, this is not your normal 'Valentine's Day' post. This is a post that I have been sort of dreading, yet sort of wanting to post. 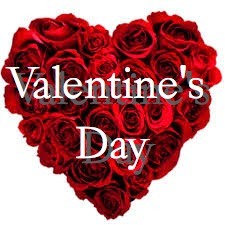 On Saturday, it is - as you may have noticed from the abundance of romantic crap in stores - Valentine's Day. This year for the special day, I am single. Last year, I wasn't, and it was the most amazing thing ever, because it was my first V day with someone. Oh, I was such a cutie. But now, I am fully single, working on said day, and super excited. Because I plan to make this the best V day of my existence (until the next one). We've all heard of people complaining about V day, saying it's artificial, and I agree. The whole V day is practically a sham to spend money on the person you love. This year, February is not V day, it's now Me Day. It's going to be a day where I do no study, sit on my couch and watch Gossip Girl, before I go to work, and then continue the marathon when I get home. Yes, I said Gossip Girl, because I bought the entire series today, just for the sole purpose of Me Day. So whether you have a special person, be it a girl, guy, or even a food, love that person. Give that person the happiest day, because like myself, I think I deserve the happiest day, and so Me Day is going to be awesome. Move over, V day, Me Day has arrived. 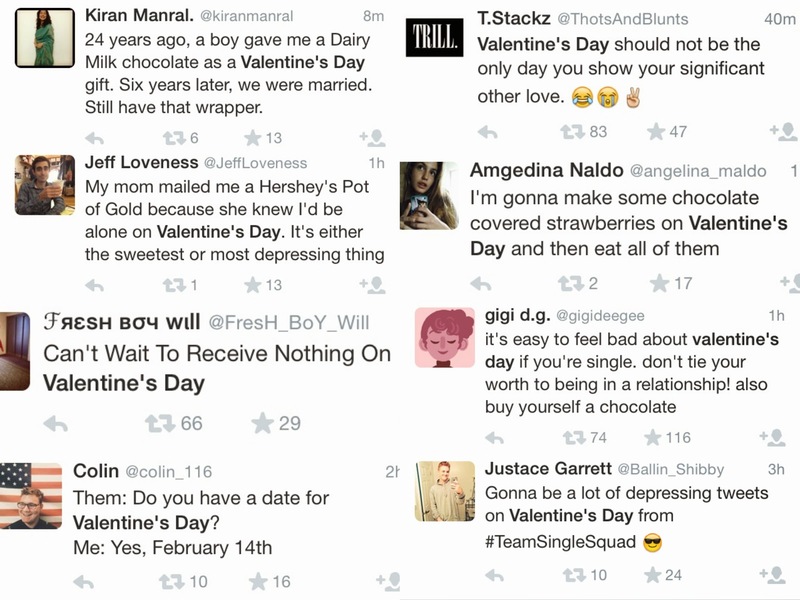 I had also been looking at the hashtag, #valentinesday, and I found a few funny ones, and just tweets that I generally liked. Many of them have to do with chocolate, which is 100% fine with me, as my love for chocolate is amazing. I love chocolate as much as there are grains of sand (just watch the video of the guy's creepy video to his girlfriend, that's my love for chocolate). Me Day may seem a bit self centred to many people out there, but seriously, we all need to have a Me Day, or a Me Week. It's a good thing to do to yourself, and man, I'm loving the idea of discovering the world of Gossip Girl, and I can assure you that tomorrow (Friday) and on actual Me Day (Saturday), I will be live tweeting the whole time. It shall be awesome, and it is going to make me look like the most basic white girl out. So be it, I will enjoy it, and long live the awesome Me Day!